Little boys in bow ties, how much cuter does it get? Who says that little boys don’t have style? Put a bow tie on him, mud and all and he’ll have all the ladies swooning. Wow! 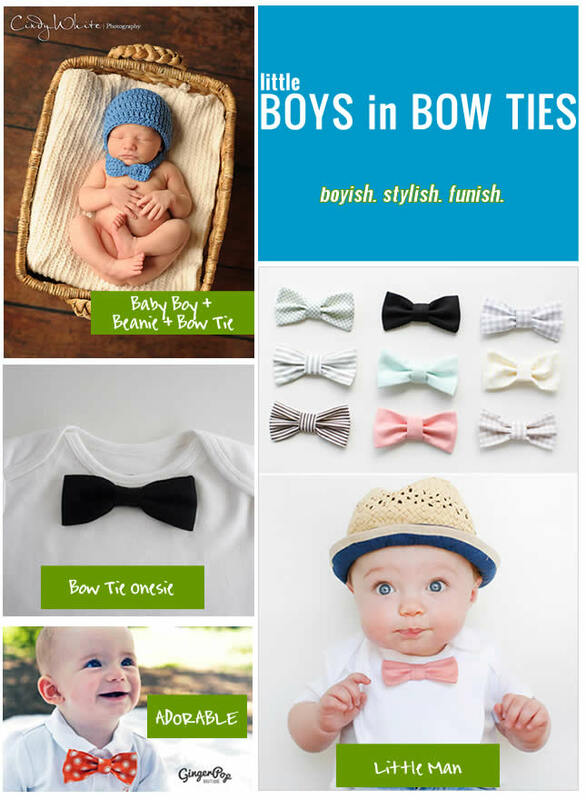 What a surprise and what a huge blessing to see our baby boy beanie and bow tie included in your blog! Thanks so much!